Here at Paull’s, we know that being a younger driver means it’s sometimes difficult (and pricey!) to hire a car and we want to help you out, which is why we offer young driver car hire in Leicester and the surrounding areas. If you’re between 21-24 years of age, and looking to hire a car or van, give us a call today and we’ll be happy to help! If you’re a young driver aged between 21-24 years, you will need to give us a call to book your car or van hire. This is because there are slightly different Ts & Cs for younger drivers that we need to go through with you on the phone. 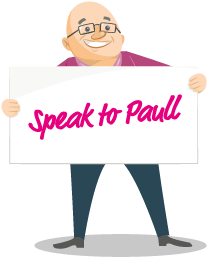 To hire a car from Paull’s under the age of 25, you must be 21 or over, and have held a valid, full UK driving licence for a minimum of 2 years. For insurance reasons, there is a daily surcharge of £15 per driver on top of normal rental costs, and there is no option to reduce excess. Unfortunately, as young drivers under 25 are considered higher risk, we are unable to waive this. You will also need to pay a £350 deposit, however don’t worry, as you’ll get this back if the vehicle is returned as it was when you collected it. We do, however, know that budgets can often be tight if you’re under 25, so we also offer a 10% student discount on our already great rental price. All you need to do is bring your valid student ID along with you when you collect your car, and we’ll take 10% off your hire cost. As a young driver, you are limited in the categories of vehicle you can hire, however that does not mean that there’s no choice available from our location near Leicester city centre! Young Drivers, Get in Touch! We’ll be happy to run through your requirements with you and help you make your choice of rental vehicle. Remember, you must call us to book on 0116 3400 007. Online bookings will not be taken for under 25 car hire. For more information, read our car hire FAQs.